Anthony Wayne Girls on the Run members raised a total of $444.76 for Colton Hefner, an Anthony Wayne 4th grade student who is battling Leukemia. Thanks to all of our Anthony Wayne students for their donations to Colton! Anthony Wayne celebrated with their annual Community Luncheon where local community and staff members eat lunch with fifth grade students at the Franklin Fire House. Congratulations to Madeline Montez, 5th grade student at Anthony Wayne Elementary, for being selected as the MVP for the Dayton Dragons. Madeline was invited to attend a recent Dayton Dragons game with her teacher Mrs. Cindy Clark where they enjoyed the ball game from the suite! Anthony Wayne 5th & 6th grade students visited the Warren County Career Center where they learned about the skills needed for a variety of different careers. 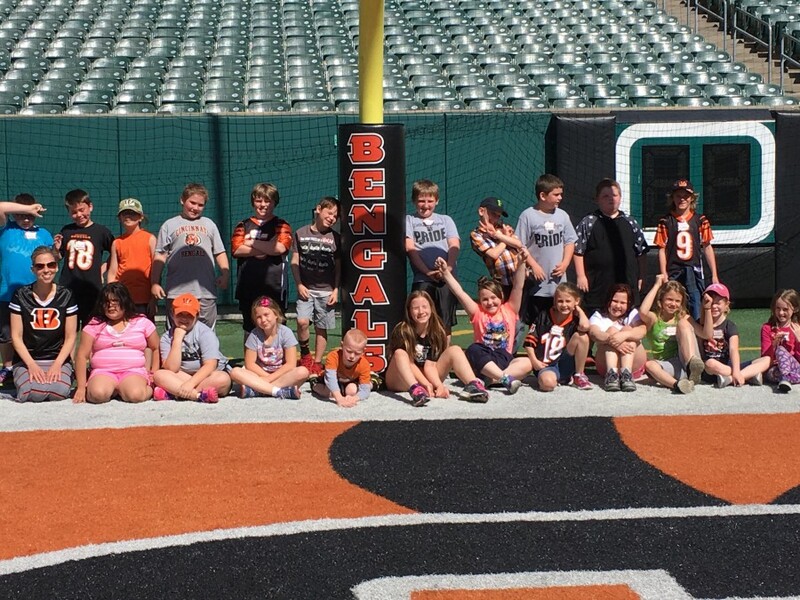 Third grade students from Anthony Wayne visited Paul Brown Stadium. THe students even caught a glimpse of some players and gave them 5's!